Ellie Grace was born into a deep musical tradition and began her life-long love affair with dance at the ripe old age of five when she slipped on her first pair of tiny clogging shoes. 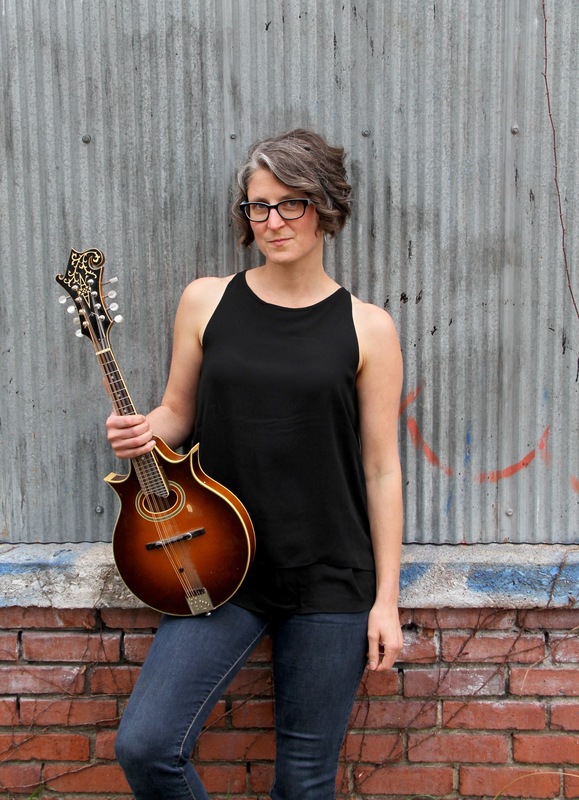 She has spent her life performing professionally as a singer, multi-instrumentalist, songwriter, and dancer who specializes in roots-based Americana and percussive dance. She first took to the stage as a young member of her family band and now tours internationally as a solo artist and a member of several beloved bands (Leela and Ellie Grace, Claflin & Grace, and Blue Eyed Girl) and ground-breaking dance companies. Ellie has performed at prestigious venues across the United States and Canada, ranging from the Winnipeg Folk Festival to the Lincoln Center in New York City to the Summer Solstice Festival in Los Angeles to the National Women’s Music Festival. She recently appeared as a featured guest with Peter and Paul (of Peter, Paul, and Mary) at the Rubicon Theater in California and Janis Ian at the Swannanoa Gathering in North Carolina. Ellie is a passionate and devoted teacher, having taught at camps, schools, colleges, and festivals across the country for well over twenty years. In addition to her time on faculty at Smith College, Mount Holyoke College, and University of North Carolina–Asheville, Ellie has directed schools of folk music and dance in Missouri and North Carolina. In the culmination a lifetime of performing and teaching, Ellie received her Master of Fine Arts in Dance Performance and Choreography from Smith College in May of 2015. She approaches music and dance the same way she approaches life: with an irrepressible spirit, a driving rhythm in her step, a healthy dose of humor, a devotion to social justice, and an undying commitment to using the performing arts to build community and lift others up.